Colleagues in opposition, Kim Ok Chan and Ri Hyon Sim won the respective Under 21 Men’s Singles and Under 21 Women’s Singles events at the 2017 ITTF Challenge Pyongyang Open on Saturday 5th August; the first titles to be decided in the five day tournament. Kim Ok Chan accounted U Tae Ryong at the final hurdle (9-11, 11-8, 11-3, 11-9), after Ri Hyon Sim had beaten Kim Jin Hyang (13-11, 13-11, 5-11, 11-6) to secure the top step of the podium. Earlier in the day, at the semi-final stage of the Under 21 Men’s Singles event, Kim Ok Chan had beaten Pang Un Chol (11-5, 11-8, 12-14, 6-11, 11-8), U Tae Ryong had accounted for Choe Kyong Guk (11-3, 11-6, 11-5). Meanwhile, in the counterpart Under 21 Women’s Singles competition, at the same stage, Ri Hyon Sim had defeated Kim Jinju (13-11, 11-4, 11-8); Kim Jin Hyang had ended the hopes of Ko Un Gum (11-9, 11-1, 6-11, 11-8). 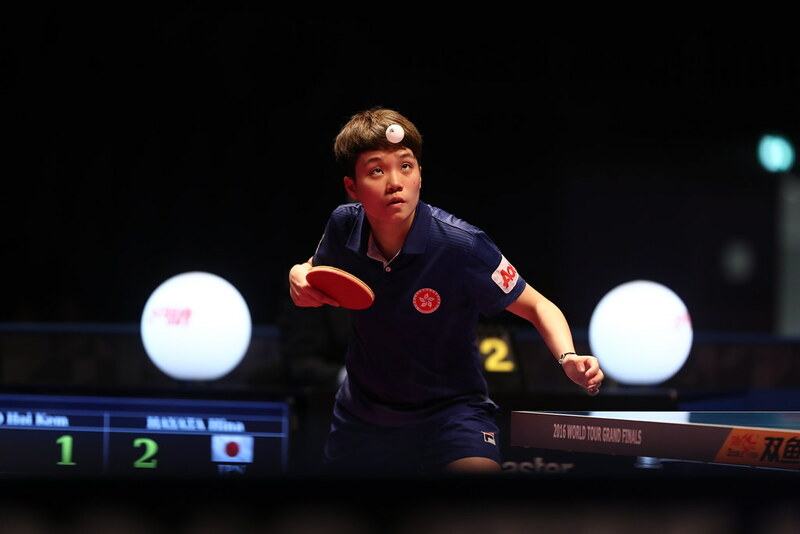 Success for Kim Ok Chan means that he becomes the fifth player from the Democratic People’s Republic of Korea to win an Under 21 Men’s Singles title on either the ITTF World Tour or ITTF Challenge Series; for Ri Hyon Sim, she becomes the sixth to secure the counterpart female title. Notably no player from DPR Korea has ever won such a title on more than one occasion. On home soil, Pak Un Hyok won the Under 21 Men’s Singles title in 2015, the following year the top step of the podium belonged to Ro Hyon Song; similarly, Kim Song I and Kim Nam Hae emerged as the respective Under 21 Women’s Singles champions. Meanwhile, on foreign soil; on the ITTF World Tour in 2002, Oh Su Yung claimed the Under 21 Men’s Singles title in Qatar, later in the same year Ryo Hyon Sop succeeded in China. Somewhat similarly, in 2002 Kim Mi Yong secured the Under 21 Women’s Singles title in China, before in 2006, Kim Jong won in China and in 2012 Ri Myong Sun reserved the highest step of the podium, likewise in China.